1; A newborn baby girl is recovering after she was found abandoned in the middle of Madera County Road Monday morning. According to Madera County Sheriff's Office, dispatchers received a call around noon. At 4:30 am when a newspaper vendor reported that he had found an abandoned infant on the road at Avenue 13 1/2 in Madera County. Aurelio Fuentes, from Madera, said he was out delivering newspapers as he noticed something on the road. Thought it was an animal he slowed down. As he approached, he heard the screams for help. "You can tell they placed the child there, they didn't throw it, they just put it there," Fuentes said. "I got a little closer, I heard the baby cry and scream." Fuentes said he could see the umbilical cord was still attached and the baby had only one one. 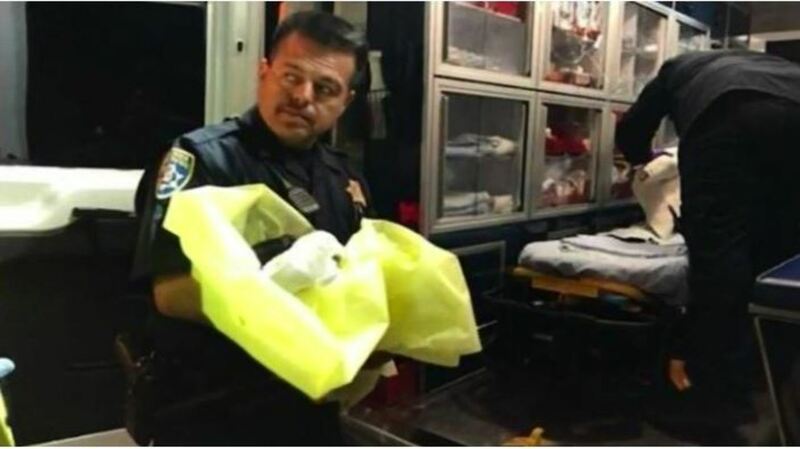 Another person took over to help him with the infant as they waited for the California Highway Patrol and medical staff to arrive. Just minutes before the incident, Madera County Sheriff's Office said a Spanish-speaking woman, possibly in her early 20s, turned to go her dog in the area and asked him for help and take her baby. The man told the woman that there was a nearby fire station and a hospital nearby to take the infant. "It is very difficult to handle this type of situation, but we want people who are in this mother's situation to know that there are other options," said Madera County Undersheriff Tyson Pogue. "Living a baby in the middle of the lane was definitely not the best option. She should have taken it to a safe surrender"
The infant is being treated at Valley Children's Hospital and is in good condition.